How To Make A Decorative Necklace Hanger! T's Tips About Everything! You are here: Home / DIY / How To Make A Decorative Necklace Hanger! How To Make A Decorative Necklace Hanger! T is back with another great tip! 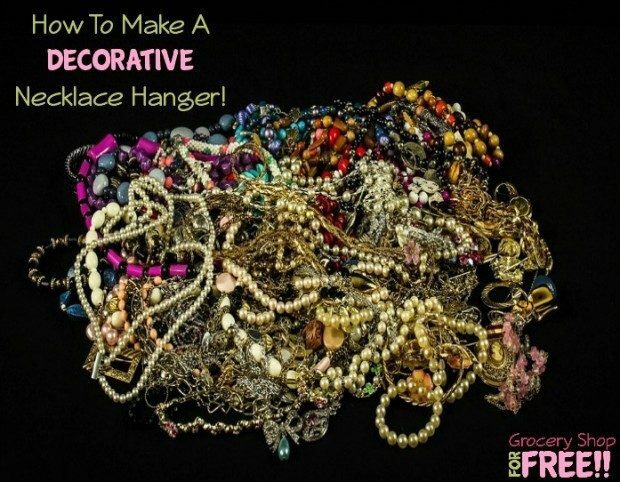 How To Make A Decorative Necklace Hanger! My oldest daughter is the Aaiyja B. of Aaiyja B.’s X-Ces-Or-Eez! She makes her own accessories and sometimes it can be a bit cluttered. To de-clutter her room, we decided it might be best to move some of her sale pieces and her favorite pieces to the wall. We did this by creating a board with hooks that could hold bracelets, necklaces, or KEYS!